Level Of Ease: Easy to Moderate depending how you play it. Tempo: approx 92 bpm (♩)... If you are using a metronome or click track, the beat sounds on every quarter-note OR crotchet. When she plays the last bar of lines 1, 2 and 4 of each verse | C F C / | she slides up to the F from the C chord by playing the F chord the same shape as an open E chord except up 1 fret. This is fine as long as you don't play strings 1,2 and 6... see chart. Play it whatever way feels the most comfortable. This lends itself to finger-picking as opposed to strumming, as you are more likely to hit the 'x' marked strings when strumming this particular chord. At the end of the song, she plays a Csus2 (x3001x) on the 3rd beat of the last bar and hammers (h) finger 2 onto the 4th string 2nd fret to finish on the C chord (x32010) on the 4th beat of the bar. You can just play a C chord if you prefer, but it does add a nice touch... just remember to play the Csus2 on the 3rd beat and hammer on the 4th beat to finish... don't strum on the 4th beat as the hammer-on takes the place of a strum or pick. If you listen carefully, you will hear this. h (hammer-on): bring your finger down sharply on the string to make it sound. The C/A chord is simply a C chord leading with an A bass note... x02010. We give up the leading C bass note and replace it with an A (open 5th string). We still have all the notes in the C chord with the C note played 1 octave higher on the 2nd string - first fret. The repeat sign or simile mark / means you repeat the previous chord or note in the bar, therefore | C F C / | means 1 beat on C, 1 beat on F and 2 beats on C.
This is a great way of writing chords quickly without having to chart them. You don't have to play all the extras, and if you find the C/A or Csus2 chords a little confusing, just play the C chord... it still sounds fine. Wintersong ... make sure you sample this album - a beautiful easy listening Christmas presentation. SARAH McLACHLAN chords and lyrics are property and copyright of their owners. 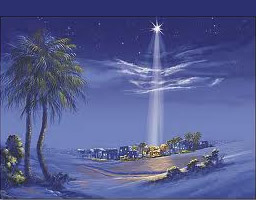 "O Little Town of Bethlehem" chords and lyrics are provided for educational purposes and personal use only.